Developing strong foundations in the early years. Rozelle Public School Preschool is a Departmental Preschool located within the grounds of Rozelle Public School providing a high quality prior to school educational program for forty children in two sessions. 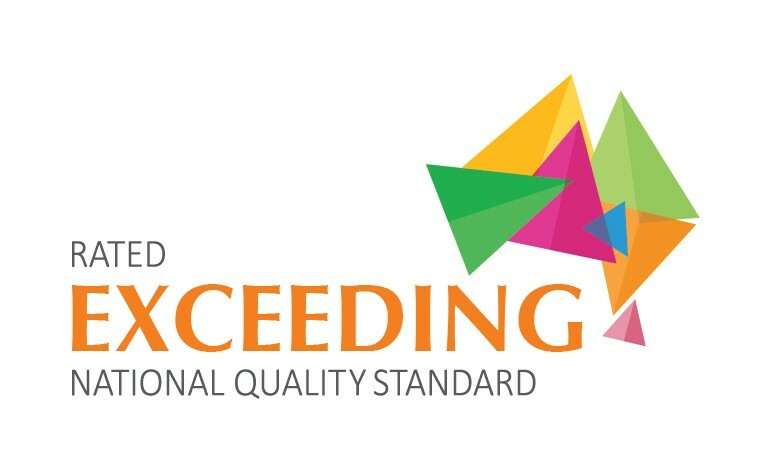 Rozelle Public School Preschool is rated as Exceeding the National Standards on all seven standards. The two Preschool classes each operate five-days per fortnight. Further details are provided below. Our Preschool provides a safe, supportive environment that nurtures each child's self-esteem, wellbeing and development. The preschool program is designed to stimulate children's thinking, communicating, investigating, exploring and problem-solving skills. Children are encouraged to join in physical activities and to develop good health and safety habits. The program includes play-based activities that help children learn how to interact positively with other children and to recognise and accept their own feelings and those of others. The program also supports the development of early language, literacy and numeracy skills. Our day comprises of indoor play, outdoor play, group times and routines such as lunch and rest time. Download our Preschool information booklet (PDF 241KB) for more information. The Australian Government’s National Partnership Agreement on Early Childhood Education requires that all preschools provide a minimum of 15 hours of care per week. The preschool is open from 9:00am to 3:00pm during the school term. Each Preschool class has a trained early childhood teacher, and a suitably qualified school learning support officer for each class of twenty children. Fees consist of a mandatory fee set by the Department of Education and Communities and a voluntary contribution. The current fee is $40 per day. The fee for children from families holding a current Commonwealth Health Care Card is set at 50% of the full fee. The fee for Aboriginal children is set at 50% of the full fee. The amount for the voluntary contribution is set each year. In 2020 it will be $25 per fortnight. All fees collected are returned to the Department of Education and Communities. The voluntary contribution is retained by the school to fund additional preschool resources and equipment. Children are eligible for enrolment in preschool classes from the beginning of the school year if they turn four years of age before July 31 of that year. In accordance with the Department of Education and Communities' Preschool Enrolment Policy, Rozelle Public School is required to provide priority to disadvantaged children in the local community who are unable to access other early childhood centres. A disadvantage may be related to race, socio-economic status or disability. Priority for enrolment to the preschool is given to children who reside within the school's enrolment boundaries. If a student lives outside the enrolment boundary and gains a place in the preschool, he or she will not be able to attend the school in Kindergarten. Contact the school office if you are unsure whether your address falls within our catchment area. Please read our Preschool Enrolment and Fee Policy (PDF 184KB) carefully for further information about enrolment criteria and procedures, and before completing an enrolment application. Applications for enrolment in Rozelle Public School preschool for the following year will be accepted from the beginning of Term 2 of the current year. Application forms can be obtained from the school office or downloaded from the school web site. There is no priority given according to the date the applications are received. Applications close at 3:00pm on the Friday closest to 30 June of the current year. Download the Preschool Application Procedures 2020 from the school website from Monday 29 April 2019, or collect one from the school office from that date. Enrolment applications for Rozelle Preschool 2020 will be accepted from Monday 29 April, until Friday 29 June 2019 between 8:30am and 3:00pm, daily. Once completed, forms must be returned to the school office. Applications will only be accepted with this form completed, original birth certificate or passport, immunisation, three proof of address documents, and other relevant information sighted and photocopied by office staff. Parents/carers will be notified of the result of their application by Friday 2 August 2019.